During you stay in Phuket. You can make your holiday more value by charter your own speedboat to the nearby islands for a full or half day snorkeling trip. 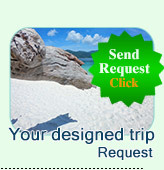 Phi Phi Island, Khai Island, Raya Island, Coral Island, Bamboo Island, Phang-Nga (James Bond Island) Krabi or Similan Island. A private boat offers the flexibility to choose those perfect snorkeling places a way from the crowds. By private boat makes you get more perfect snorkeling & more time places visiting. Boats are comfortable and fast, fitted with all safety equipment. Speed boat always fast and nice. Save your time from the place to the other place. Good idea for the party of friends or families, you can relax and enjoy the nature of paradise islands, and our expert crew will take care for the rest. 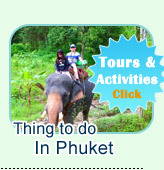 Please click for more information before booking.